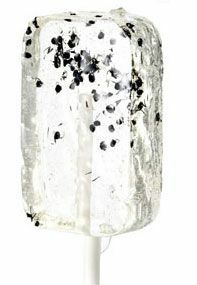 The hotlix Ant Lollipop will create a splendid taste in your mouth unlike anything you have ever tasted. Yummy says the staff at insect kits when it comes to bug eating. The texture of this sucker will blow your mind. Encased in an edible candy the ants mixed with a special blend of sugars and flavors create a texture unlike any candies you have ever tried. Free Shipping Cont Usa Contains ants that were once alive.